When Queen Victoria died, the Prince of Wales became King and the Fund became known as King Edward's Hospital Fund for London. 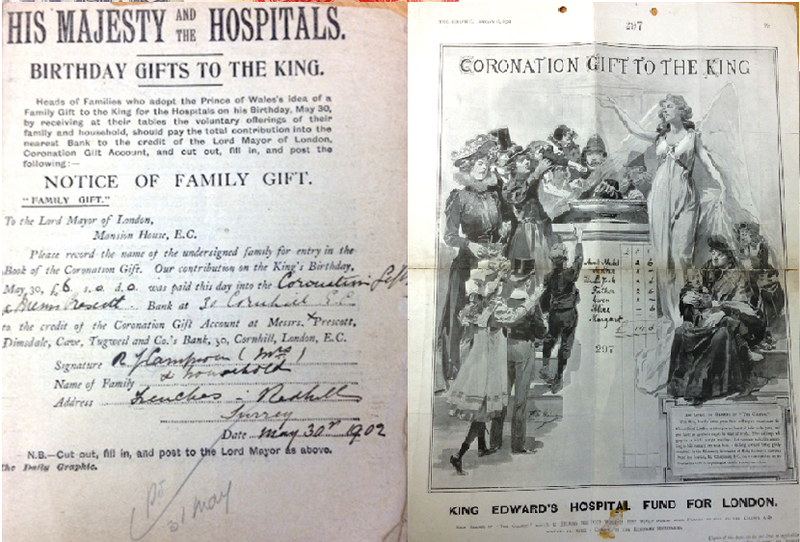 The £18,663 raised as a coronation gift for the new King was donated to the Fund, ensuring that the Fund could continue its work in supporting voluntary hospitals. The form here shows one way of contributing to the Fund was to donate money as a birthday gift for the King.